The Jonas Brothers are hitting the road this summer for a three continent world tour with none other than Joe Jonas' main squeeze, Demi Lovato. Demi and the JoBros will perform hits off of their albums as well as songs from the Disney Channel's "Camp Rock" and its sequel, scheduled to premiere on the network on September 3. "What we're doing is having our friends come out for songs that they are part of, and even Camp Rock songs," Kevin Jonas told People. "So, we'll do our set, we'll do everyone's favorite songs, all the hits, and then bring out Demi." The three continent world tour will kick off in Dallas, TX, on July 27 and run until mid October, stopping in Latin America and Europe along the way. With over 45 stateside shows already planned, Nick Jonas said that this will be a concert to remember. "We love recording and creating new music in the studio and enjoy doing television but performing live music together for our fans is the ultimate — nothing can compare to the energy from the crowd," Nick said in a tour press release. 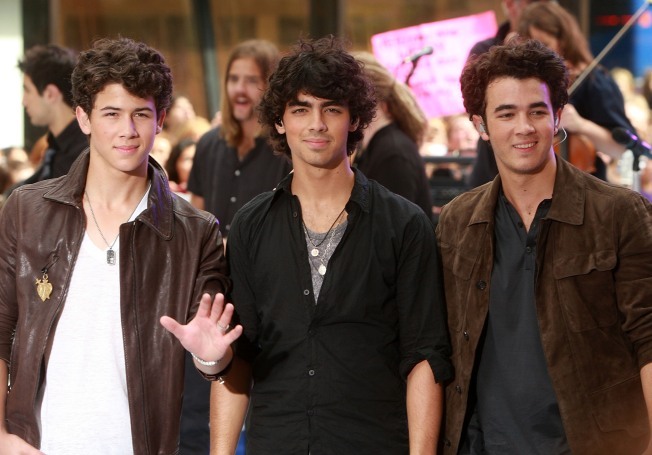 "We can't wait to get back on the road this summer with Demi and our friends from 'Camp Rock.' Together we're going to bring our fans a show that they'll never forget." Tickets go on sale May 15 through www.livenation.com with further information and updates on the tour including additional details on ticket sales available at www.teamjonas.com.